This month it’s a super-sporty issue of GCN! 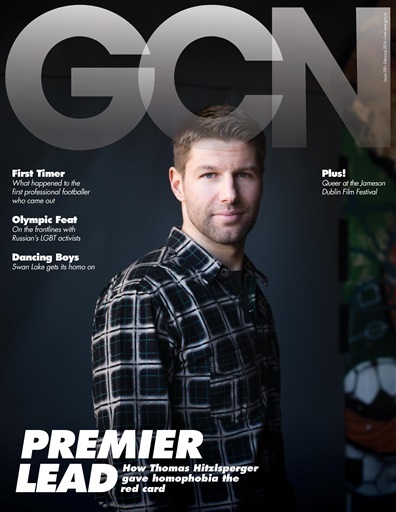 Retired German international footballer Thomas Hitzlsperger discusses the beautiful game’s final taboo, Brian Finnegan talks to Russian activist Ivor Yassin ahead of the Sochi Olympics about the difficulties facing LGBT people in Russia, John Clarke recounts the sad tale of the first gay professional footballer, Justin Fashanu, from his outing at the hands of a tabloid to his tragic suicide. Plus: all the best news, gossip, reviews, opinion, reviews, horoscopes, relationship advice and much, much more!